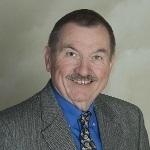 Jim began his insurance career in 1964. He worked as a claims adjuster for nationally known companies such as Hartford and United Pacific-Reliance. Jim’s eleven years of experience as an adjuster gave him an in-depth knowledge of coverages and taught him how to best protect the interests of his clients. In 1975, Jim began his career as an independent insurance agent by joining the family business, Adam Serpa Insurance Agency, established by his father-in-law in 1948. Jim and his wife Kathy have expanded the single office of Adam Serpa Insurance Agency to include three other branch offices located throughout California. Over the years, Jim has enjoyed serving individual personal clients and the challenge of managing and servicing large diversified commercial operations, non-profit organizations, and public entities. Jim continues to maintain a cutting edge knowledge of today's complex insurance industry and its various products. Jim and Kathy reside in Hanford and are very active in several community and church activities. Jim has served on various boards and insurance industry councils.